Many of us have heard the term white collar crime before, but we may not be completely sure what it means. White collar crimes encompass a number of various crimes and also differ from other kinds of crime in important ways. If you are being investigated or have been charged with a white collar crime, you should contact knowledgeable white collar crimes attorneys as soon as possible so they can help you exercise your rights during the investigation. Money laundering – Making money obtained illegally look like it came from a legitimate source. Corporate fraud – Fraudulently claiming that the financial situation of a corporation is different than it actually is. Investment fraud – This includes Ponzi schemes, pyramid schemes, and other false claims of probable returns on investment. White collar crimes do not involve violence and often take place in the workplace of people who work in white collar industries, such as accounting, finance, banking, and other associated professions. These crimes involve concealment and deceit in order to unlawfully make money or to gain possession of other assets. And although these crimes usually involve paper and finances instead of weapons and violence, the devastation that white collar crime can incur is real. White collar crimes exist in both the public and private sector. 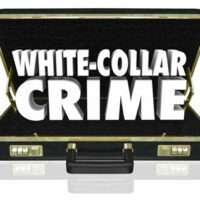 White collar crimes can be prosecuted at both the state and federal level. The Federal Bureau of Investigation (FBI) is a federal agency that investigates many kinds of crimes including white collar crimes. The FBI will often work with other federal agencies to carry out these investigations, such as the Securities and Exchange Commission, the Internal Revenue Service, and the U.S. Postal Service. Criminal fines – Criminal fines are the fines that are set by statute. There may be a mandated minimum and prescribed maximum criminal fine. Some white collar crimes come with very high maximum penalties. Forfeiture – Forfeiture involves the wrongdoer giving back, i.e. (forfeiting) the property or money that they obtained illegally so they do not financially benefit from their crimes. Restitution – Restitution is money that is paid back to the victim to help recoup their losses from the crime. Restitution is very common in white collar cases. White collar crimes can come with serious penalties. Therefore, if you have been charged with or are being investigated for a white collar crime, you should contact a skilled white collar crimes attorney as soon as possible to assist you during the investigation and/or prosecution. Contact our experienced white collar crimes attorneys at The Skier Law Firm in West Palm Beach, Florida for all your criminal defense needs.